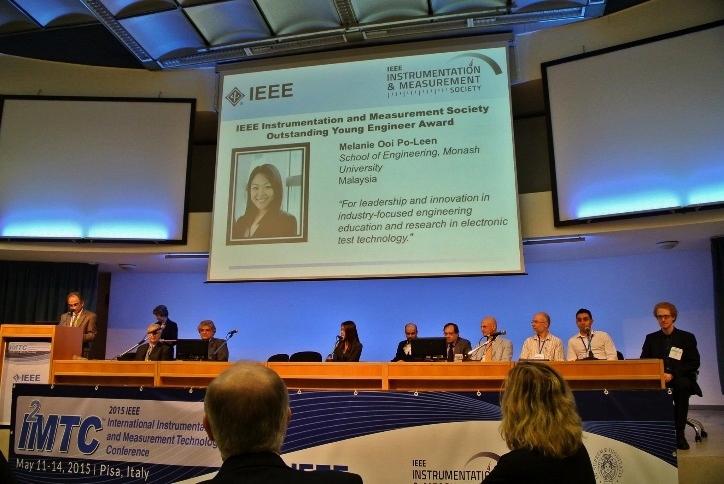 Dr. Melanie Ooi Po-Leen from Monash University Malaysia has been awarded the 2014 Outstanding Young Engineer Award by IEEE Instrumentation and Measurement (I&M) Society. The award was announced in the 2015 IEEE International Instrumentation and Measurement Technology Conference held in Pisa, Italy. The Outstanding Young Engineer Award is given to one recipient around the world every year. This prestigious award recognizes an outstanding young l&M member who has distinguished him or herself through achievements, which are technical, of exemplary service to the l&M Society, or a combination of both, early in their career. 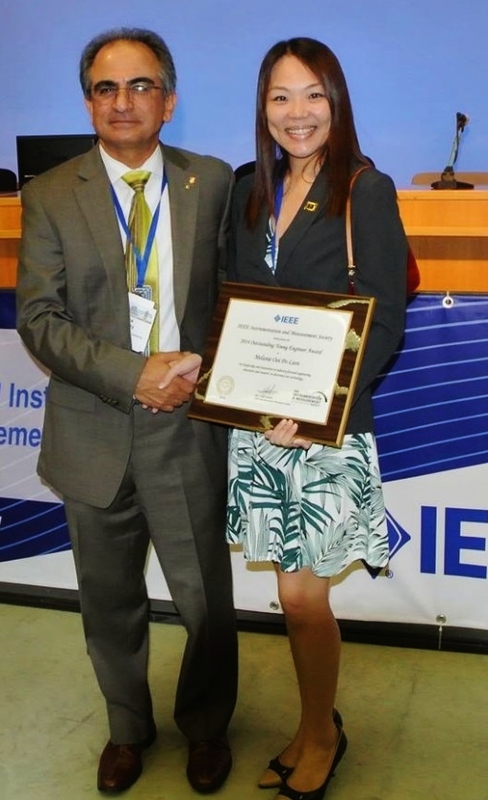 The IEEE I&M Society awarded the honour based on Dr. Ooi’s leadership and innovation in industry-focused engineering education and research in electronic test technology. The award testifies to Dr. Melanie Ooi’s contribution to the engineering community and, indirectly, the strength of education program offered by Monash University Malaysia. Dr. Melanie Ooi Po-Leen received her BE (2006), ME (2006) and PhD (2011) from Monash University, one of the world’s top universities by major rankings. She is currently a Senior Lecturer at the School of Engineering of Monash University Malaysia, teaching and researching in areas of electronics, computer engineering and instrumentation. Dr Melanie’s particular strength lies in her work in a close collaboration and cooperation with leading multinational high-tech companies like Freescale Semiconductor, Texas Instruments, Western Digital, Intel and several others. The extensive industry engagement has led to high-impact research results and excellent work readiness of her graduates. Despite being an early career researcher she has led and contributed to over half a dozen of successful national research projects. Melanie is a strong proponent of the growing role of women in engineering. Her excellent results in education and research have been acknowledged by a number of university, professional organisations and national awards including the 2014 Excellence Award for Best Practice/Innovation from the International Education Association of Australia; 2012 Faculty Course Development Award (co-recipient) from the IEEE Instrumentation and Measurement Society; 2011 Citation for Outstanding Contributions to Student Learning from the Australian Learning and Teaching Council; and 2011 Douglas Larnpard Electrical Engineering Research Prize and Medal among others.